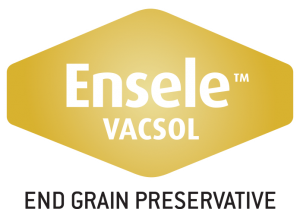 ENSELE CLEAR and ENSELE VACSOL are brush-on, water based, end grain timber preservatives. They are designed for the re-treatment of exposed cross-cut, notched or bored surfaces of VACSOL preservative treated timbers and help maintain the integrity of the treated timber against fungal and insect attack. The downloadable document provides more details.